Preparing for an upcoming trade show should be exciting and motivating. You’ll find yourself in the midst of other businesses succeeding in your industry — great examples to learn a few tricks from. With a personalized display, you’ll separate yourself from the others and focus your mindset on what makes you special and important. More than the sale, however, trade shows are perfect for allowing customers to reach out to your company on a personal level. Whether with new customers or a loyal fanbase, your interaction at these trade shows should foster a dialogue that encourages others to see the best that you have to offer. At SpeedPro Imaging North Palm Beach, we want to assist you in creating these interactions and connections from the moment someone sets eyes on your display. You’ll learn what your strongest selling points of your organization are and therefore what graphics and visuals will best accompany and highlight your efforts. If your business or organization is located around Treasure Coast, Jupiter or North Palm Beach, reach out today to get started on your design. 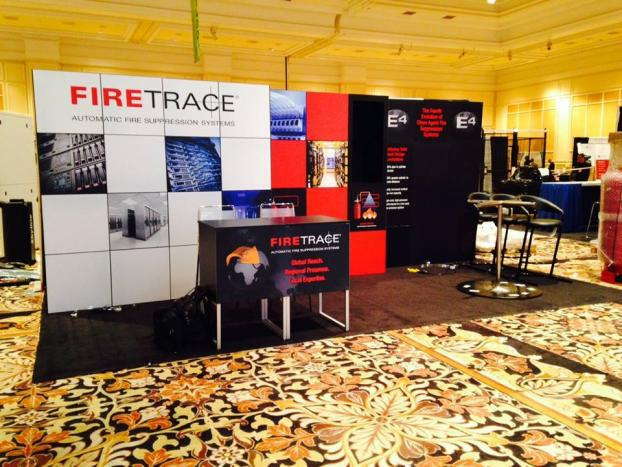 With portable trade show displays, you won’t have to worry about moving an entire setup from one location to another. It’s an easy process of tearing down and re-setting, transporting with little stress involved. The significance of an appealing trade show display is convincing interested customers to find out more information about your business. 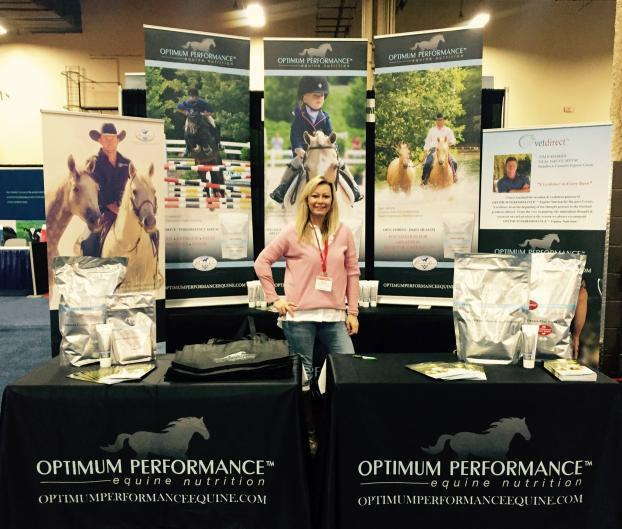 Banners can bring a lot of attention and focus to your trade show display and backdrop, no matter if you’re trying to show off features of your business, attract attention from people passing by or show off the importance of your work or service. Flags can rise above your display and pinpoint you in the area, inviting curious eyes to come closer and check you out. 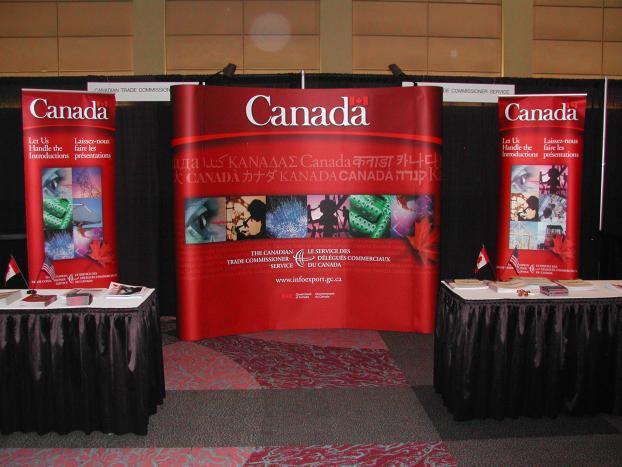 Pop-up banners can be a dimensional and fun element of your display, attracting attention to particular structures. Choose the information you want visitors to remember after they walk away, and place it on pop-up structures, creating a dramatic appearance. You might also choose to add backlit graphics to this display, further focusing the attention of curious customers and attendees onto significant elements of your brand. 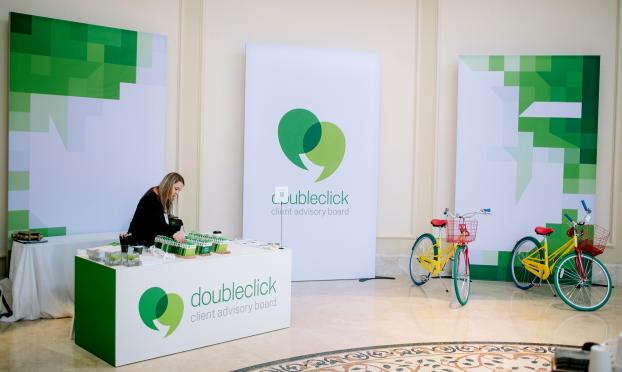 Finally, complete the interactive element by installing a step and repeat banner with your display booth. Invite guests to pose with you or with their friends in front of your branded message, giving you exposure while also allowing them to get to know more about you and your business. SpeedPro Imaging North Palm Beach is ready to create the large-format graphics you need to complete your trade show display. Call us today to set up a consultation appointment and begin your interactive journey.